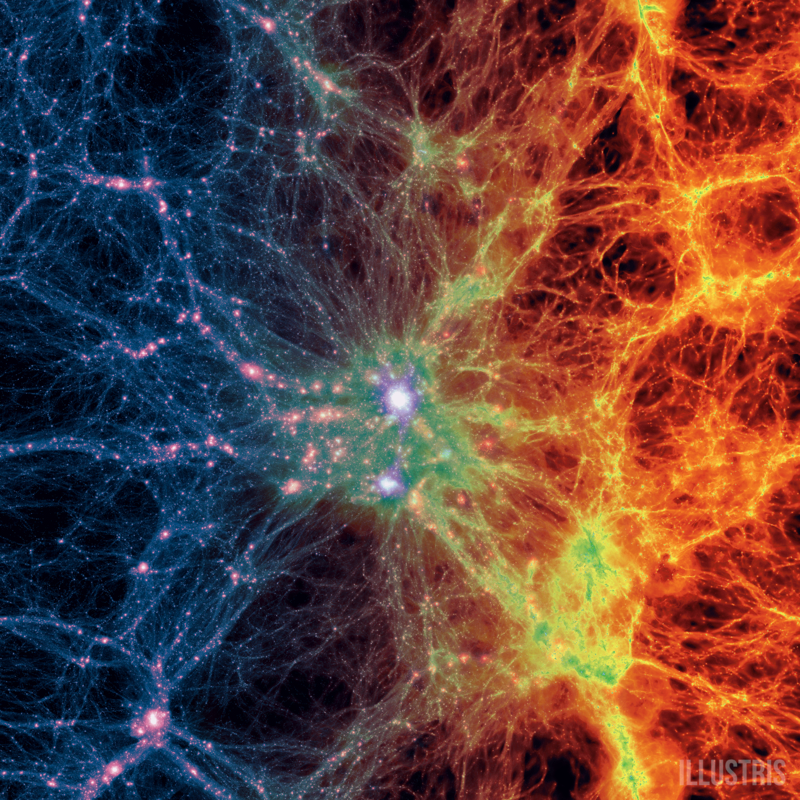 The Illustris project at MIT has used supercomputers to model the universe in unprecedented detail. Their model shows the universe from 12 million years old to present day. It shows how regular matter and dark matter created early stars and galaxies. There are some places where the model doesn’t match what we observe, and this is where some interesting science will be done in the future. This entry was posted in Science, Software and tagged astronomy, cosmology by Chris Riley. Bookmark the permalink.